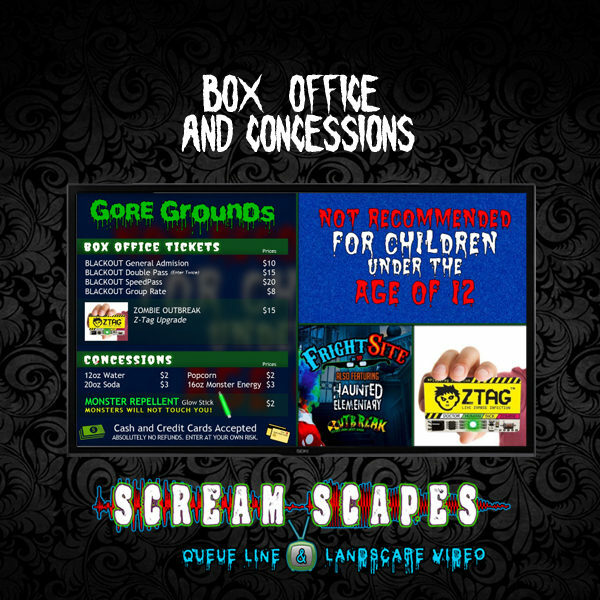 Add a Custom Digital Menu to your Box Office or Concessions Area. This is a Personalized Custom Video theme. Custom videos will be available as a digital download. 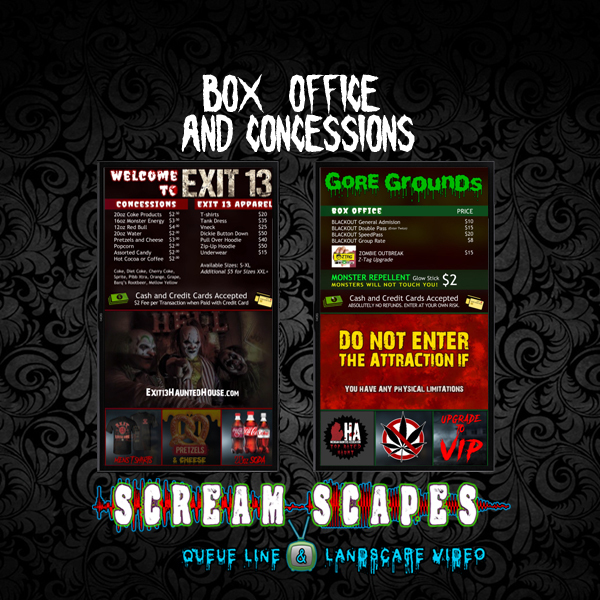 Create a Custom Concession Digital Menu for your Haunted Attraction!